We are all home now, 50ish or so folk who lived at camp for a month doing this and that, serving (as genuinely as we could) with humility, living (as graciously as we could) in community, laughing (as deeply as we could) for joy, loving (as best we could) as Jesus loved. It’s not hard to do these things at camp, alongside 50ish or so other folk who are doing the same thing, when the schedule is built around such things and the activities are geared to such things and the atmosphere spills over with such things. But home – well, home is another matter entirely. Home is here (not there). Home is mundane (not magnificent). Home is dull (not wondrous). Home is . . . not camp. As such, “home” carries with it a whole host of assumptions that, if allowed, might drag us down. Needlessly. Tragically. How will we ever survive without our 50ish or so fellow workers and friends? How will we ever stay true without daily times of communal prayer, study, and worship? How will we ever thrive without constant encouragement and challenge? How, indeed? I suspect that after camp, or any similar ministry-minded experience, many people do as the disciples did on the evening of the third day: they huddle behind locked doors because they are afraid of all that lurks outside. Whatever will we do? However will we cope? We will raise our eyes up from the dusty ground where they gaze in worry and fear and instead focus them on Jesus who stands right here among us, behind the locked doors of life. We will stop listening to voices of worry and fear that bombard our ears and hearts and instead listen to the words of Jesus who speaks peace and comfort and truth. We will recognize the worry and fear for what it really is – an excuse to hide behind locked doors rather than live a life of daring faith – and will instead follow Jesus who is here with us now and who stays with us always and who goes with us to wherever he sends us. It is easy to huddle behind a locked door. 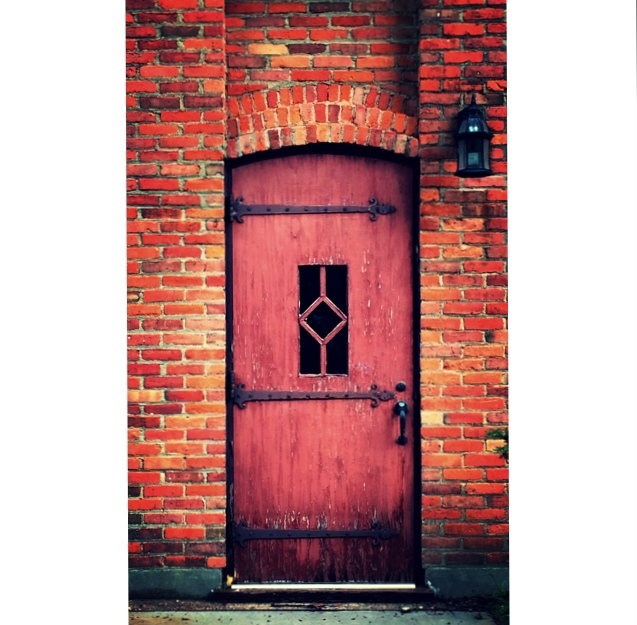 In truth, much of our huddling behind locked doors is not really about hiding from the world. Rather, it is about hiding from Jesus and from the life to which he has called us. If we huddle here, where no one can see or challenge or exhort us, then we are free to do whatever we want, or nothing at all . . . which means, of course, that we are nothing more than captive to ourselves. To all who are tempted to hide away, to huddle, to fret, to worry, and to lament the end of a powerfully beautiful ministry community experience, remember this – Jesus quietly but surely explodes into that huddling space, wherever it may be, and both speaks peace into our lives and breathes the Holy Spirit into our souls. He did. He does. He will. Powerfull post, Crystal. Well stated. Thanks, Janet. Indeed, coming home from camp never gets easier – not even after 25+ years. But finally I can look beyond the immediate symptoms of withdrawal and recognize that though the surroundings and the tasks at home may be different than at camp, the ultimate purpose is the same.